It's Roots to the actual evolution of House Music. 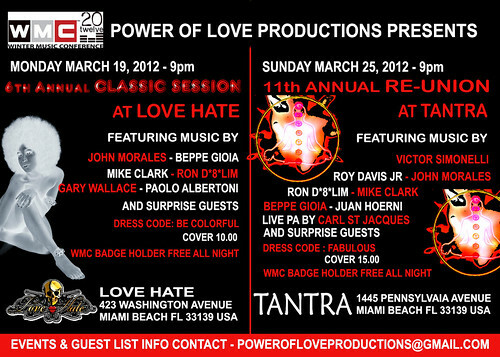 Cover: $ 10.00 WMC 2012 Badge holder Free All Night. The Industry Guest list close by Monday March 12, 2012 - 8pm Eastern Standard Time. So send your Guest List inquiry by latest then. Reduced entry by showing and leaving their Business Card at the Door! Always love, no matter what. If you are a WMC 2012 Badge Holder, then you're all good!